Background: In brief, the application of health economics reflects a universal desire to obtain maximum “value for money” in the context of decisions that affect the health and wellness of a population. This webinar aims to provide an introduction to health economics with a focus on practical approaches to identifying and using health and economic information to answer big-picture health policy questions. This webinar will provide an introduction to health economics (part 1), provide practical examples to reinforce understanding, and identify ways to communicate complicated economic data in an effective way (part 2). *Discounts available for large group registrations. Please contact secretariat@cseb.cafor more information. 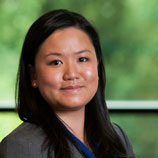 Instructor Bio: Thy Dinh is currently a Senior Research Associate, Health Economics, for the Canadian Alliance for Sustainable Health Care at the Conference Board of Canada and President of the Canadian Society for Epidemiology and Biostatistics. At the Conference Board, Thy has led the research on the health and economic impact of interprofessional primary care teams and is currently engaged in a large research series on the health economics of healthy active living. She has been a part-time professor with the Interdisciplinary School of Health Sciences at the University of Ottawa since 2010. She has delivered many presentations and guest lectures on the topic of health economics and its real-world applications. Thy currently holds an MSc in Community Health and Epidemiology from Queen’s University and is a doctoral candidate in Population Health at the University of Ottawa. How to Register: Spaces are limited so please register early to avoid disappointment. Registration will close on Wednesday, October 15th at 5:00 PM EST.